You may be surprised to learn that hardly a day goes by in which you are not exposed to mold. There is a wide variety of molds and many of them can grow on virtually any surface, so long as enough moisture is present. Mold is an inseparable part of the environment and plays an important role in keeping the local biological diversity balanced. 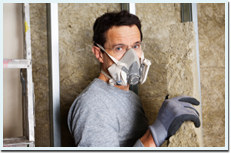 Problems with mold occur when enough of it has built up indoors to cause a decline in air quality. Some types of molds (such as “black mold”) release airborne toxic materials, when these are inhaled they may cause a variety of symptoms. In extreme cases of exposure to mold or with people who are especially susceptible, mold symptoms may be quite severe. 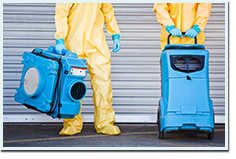 We have summarized the symptoms which should make you suspect that there is a mold infestation you are being exposed to (in your home, workplace or any other place you visit regularly). 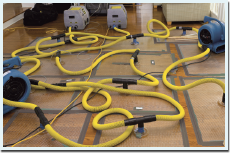 A combination of some kind of water leak and poor air circulation will inevitably bring on a mold infestation. When enough mold accumulates in a moist area indoors people who spend enough time in the affected area will begin to show symptoms of varying severity (depending on how serious the mold infestation is, what types of molds are involved, if you are allergic to mold etc.). Irritation of the eyes, nose and/or throat. As explained above, some people are likely to suffer more severely from the ill effects of mold, there are even those who are allergic to mold and should avoid over exposure to it at all cost. If you, members of your family or any of your coworkers begin to show mold symptoms do not waste time and call for an inspection immediately. 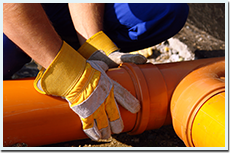 Professional restoration experts, such as those working for us at Clearway Restoration, possess the necessary skill and equipment to ensure they uncover any mold infestation and know what should be done in order to remedy the situation.